November was a great month for reflection and giving thanks. 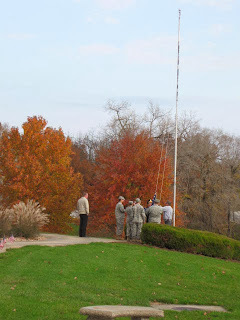 Nov. 11 was Veterans Day and the Moberly campus proudly celebrated the day with a reception breakfast, speakers and honored guests. Enjoy these photos from the events! 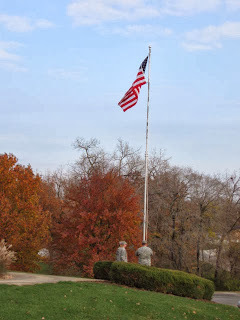 Raising the Colors by Moberly High School Junior ROTC Honor Guard. Moberly High school Honor Guard. MACC President Dr. Jeff Lashley speaks in honor of MACC Veterans. Lt. Col. Kurt Dulle Speaks to the Convocation. Veteran Danny Ward, Accountant for MACC, is honored at the reception breakfast. Veteran friends pose with Columbia College-Moberly staff. 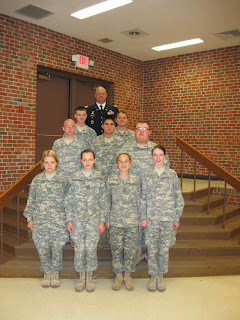 Lt. Col. Dulle with Moberly High School Junior ROTC Honor Guard at Reception.